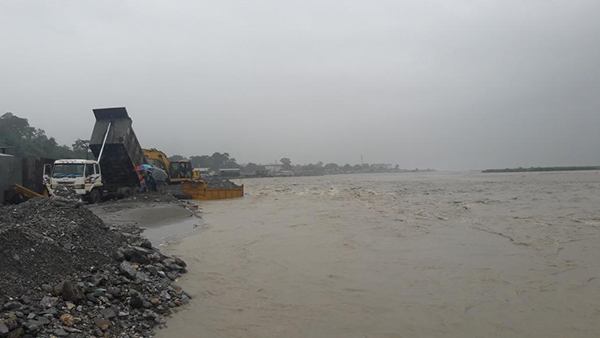 A settlement along the Amochhu, commonly known as Toorsa river bank in Phuentshogling, is likely to get washed away if it continues to rain. 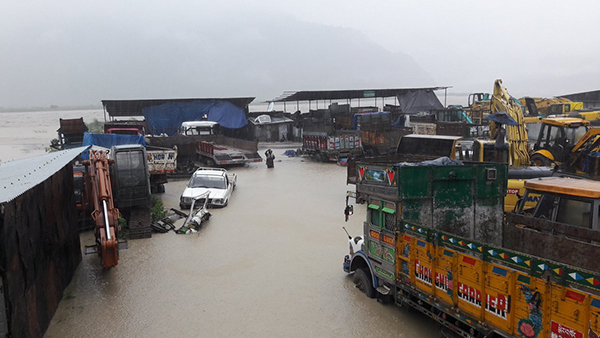 The entire area is already flooded after experiencing heavy rainfall for the past four days. The settlement comprising mostly of automobile workshops and warehouses is partly submerged after Amochhu flooded. 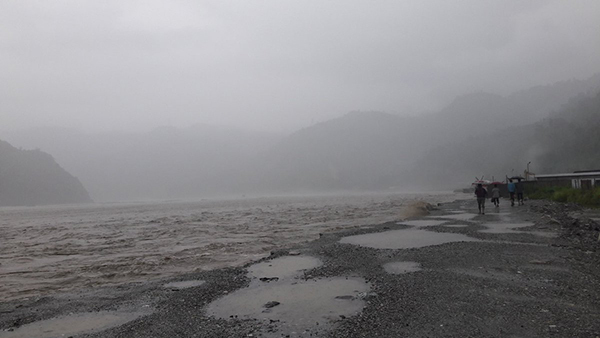 The flood also damaged the Toorsa-Phuentshogling road. People in the area say water started flowing towards the road since midnight. Residents along the river bank have already evacuated to safer ground. They said the flood mitigation carried out by the business community in the area recently helped avert a flood disaster. Otherwise, the river could have washed the entire settlement, they added. There are around 50 various business entities settled with equipment worth millions of ngultrum in the area.